In addition to complexity and functionality, the PCB design method also will affect its series and PCB prototype manufacturing cost. Therefore, there are some practices a PCB designer should consider when preparing a new circuit board at the manufacturing stage. There are some practices that can help reduce PCB or PCBA costs. This article is devoted to describing and explaining some of these methods. The short connection is very important when dealing with the above problem or using soldered prototype boards. This can be achieved by aligning components connected in series in the same direction or components connected in parallel with each other. A professional designer attempts to design a circuit with less and cheaper components to achieve its function. Multiplexers can help reduce board complexity and lower memory usage when the program is running. High capacity processing units may sometimes be overused, as lower capacity processors can provide the same performance. For low current, large in-hole transistors, capacitors or diodes are not necessary. These are some most common mistakes when designing PCB boards, especially for PCB products. To make the assembly work easier, the attached components should be placed on one side and the in-hole soldered components on the other side. The more layers, the higher the cost. 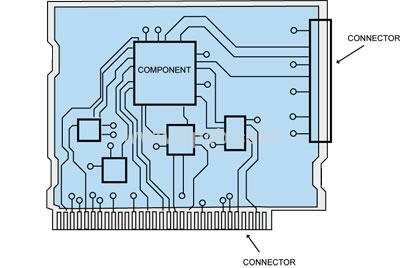 Thus, PCB designers should make the best alignment of components and connections to achieve fewer layers. When PCB system is sensitive to control, keep components and connections separate to each other to avoid problems like coupling and interference.